The "under God" part of the public school Pledge of Allegiance is clearly unconstitutional, but only the 9th Circuit Court of Appeals could say so. The 9th is the most liberal federal court in the nation, full of "these loony, left-type guys," as my congressman, Joe Pitts, says -- even though two of the three judges in this case were GOP appointees. Conservatives have breathed fire on it for so long its justices have grown asbestos skins. They'll need them this time. The court ruled on a challenge lodged by a California atheist, who said his daughter, an elementary school student, was being indoctrinated in beliefs by the U.S. government. He also points out that the "under God" clause was inserted during 1950s anti-communist hysteria, at the behest of Christian groups. Students aren't required to recite the Pledge, of course. Years ago, religious groups like the Mennonites and the Jehovah's Witnesses fought for the right to have their children opt out. They won it, thanks to courageous judges who, during the dark days of World War II, ruled that the freedoms we cherish were more important than patriotic goose-stepping. The latest ruling rightly points out that when the state-employee teacher leads the whole class in a patriotic prayer, that's turning a classroom into a pulpit, just as it would be if she read any other official school prayer. 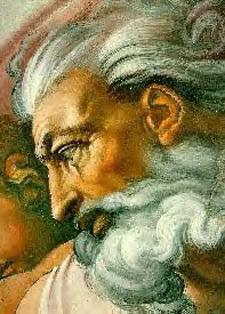 Whether there is a god or no god, whether there is one god or many, is not what a public classroom teacher is paid to teach. One legal analyst points out that, "as a purely technical matter," there's nothing at all debatable about that. Even the dissenting justice in the case admitted the majority opinion could be upheld on a legal basis. But this is far from a technical matter. This is an icepick jab on the nerve of national patriotic tradition, which has been throbbing since Sept. 11. Within hours of the decision, the usual fulminations poured forth from the usual sources. The "under God" was portrayed as a harmless social convention with minimal religious content (the government's official position). And at the same time, paradoxically, it was defended as a vital part of the nation's identity and, as Congressman Pitts put it, a "fundamental recognition that there is a superior power at work in the world." Appeals have been made to the alleged piety of the Founding Fathers, who now are, according to Sen. Kit Bond, "spinning in their graves." (Note to historians: evidently, Eisenhower was a Founding Father.) That's absurd, but since liberals seemingly have conceded the whole of American history to conservatives, it goes answered. The original Pledge is the work of Francis Bellamy, a Baptist minister. A Baptist then was not always something Jerry Falwell would invite to dinner. Bellamy was a "Christian Socialist." He was known to leave a church if he found racism there. He was chased out of his own Boston church for his socialist sermons, and he ended up working for a family magazine, which is where the pledge first was published in 1892. His pledge embodies the ideas of his cousin Edward Bellamy, who wrote the socialist utopian novel "Looking Backward" (1888). The Bellamys and many like them sought a government-run planned economy, with middle-class values and political, social, and economic equality. The original pledge is this: "I pledge allegiance to my Flag and the Republic for which it stands, one nation, indivisible, with liberty and justice for all." 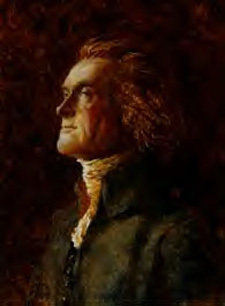 Bellamy longed to work in "equality" somewhere, but even a utopian was sensible enough to know that the guardians of the schoolchildren would never allow them to speak a word fraught with disturbing questions about blacks and women. "No, that would be too fanciful," Bellamy wrote, "too many thousands of years off in realization. But we as a nation do stand square on the doctrine of liberty and justice for all." Like any national symbol, the Pledge has been pulled out of shape by a tug of values. In 1923 and 1924, the National Flag Conference, under the leadership of the American Legion and the Daughters of the American Revolution, changed the Pledge's words "my Flag," to "the Flag of the United States of America." Bellamy protested but was ignored. In 1954, Congress, after a campaign by the Knights of Columbus, added the words "under God." It was the height of the Cold War, a struggle seen by many groups as a fundamental clash between Christian America and the officially godless Soviet Union. With two words, they turned a patriotic oath into a public prayer. Bellamy was dead. But it's not hard to guess what he would have thought about it. Some anti-abortion types recite their own version of the Pledge, closing with: "one nation under God, indivisible, with liberty and justice for all, born and unborn." A liberal alternative has also been proposed. It gets back to Bellamy's original and runs something like: "I pledge allegiance to my Flag, and to the Republic for which it stands, one nation, indivisible, with equality, liberty and justice for all." President Bush called the court's ruling "ridiculous." The U.S. Senate voted 99-0 for a resolution expressing support for the pledge. The Senate's top Democrat, Tom Daschle, who offered up the pro-pledge resolution along with Trent Lott, urged Senate members to show up at the start of business Thursday to recite Bellamy's glorious, adulterated oath. "The Congress is going to intervene, the Congress is going to do all that it can to live up to the expectations of the American people," Daschle vowed. Would that the Congress were so concerned about the WorldCom fiasco. Or the Mideast. But the Congress long ago abandoned the illusion that it did anything other than position its members for eternal re-election. The solons of Capitol Hill know they won't have to do anything about it in the end. The case is almost certainly going to the U.S. Supreme Court -- which begins its sessions with the words "God save the United States and the honorable court." � June 26, 2002 Douglas Harper Moe: "Say, what's a good word for scrutiny?" Shemp: "uh ... SCRUTINY!"